Hurricane Katrina, August 28, 2005. 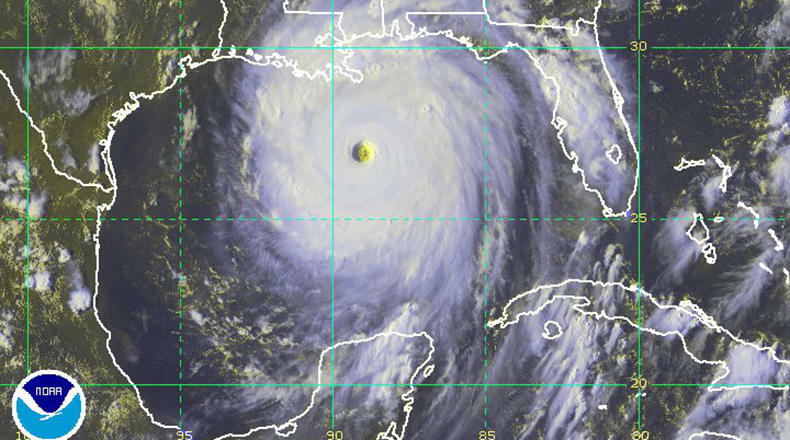 Hurricane Katrina wasn’t a specifically South Carolinian tragedy, but when the storm struck the coasts of Louisiana and Mississippi as a destructive category 3 hurricane, Columbia, South Carolina hosted part of what became known as the Katrina Diaspora—the many thousands of people who evacuated to other parts of the U.S. Then-mayor Bob Coble and SC Congressman James Clyburn felt strongly that Columbia should be among the cities that stepped up to the plate, and they enlisted community leader Sam Tenenbaum to organize the effort. “I had no idea that I’d get the call from the mayor saying that he and the congressmen decided that I was in charge—I was just going to be a volunteer, doing a thing! So for a second I was stunned,” said Tenenbaum, of Coble’s request during Labor Day Weekend of 2005. He had been expecting to be involved as a volunteer, but not as the lead organizer. Still, he gamely took on the role. Sam convened with a recruited crew of community leaders, which coined themselves as SC Cares. The group—many of whom returned to commemorate their shared effort at the January United Way event—included real estate professional Ron Anderson, former University of South Carolina President Andrew Sorenson, attorney Pamela Mullis and the late Ike McLeese, among others. Together, they planned for every contingency they could imagine. When the evacuees arrived at the airport, SC Cares was ready. At the airport, there was a medical triage set up, as well as transport for those who needed to see a doctor. A trolley ferried between the airport and the designated reception center at the USC Naval ROTC Building, where evacuees could seek healthcare, legal assistance, financial consultation, food and clothing. The refugees, notably, weren’t sheltered in the reception center, however. In fact, Tenenbaum took issue with the arrivals being considered refugees at all. 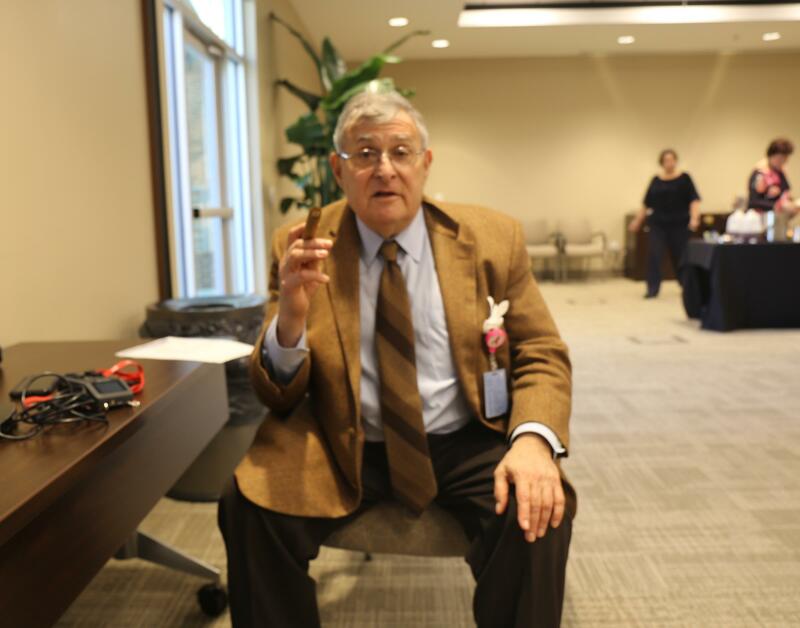 Sam Tenenbaum became known as "the man with the cigar" during his leadership of SC Cares. The name has stuck. Rather than keep guests in a shelter, Tenenbaum and other members of the SC Cares coalition opted to seek hotel lodging for them. Fortunately, finding sponsorship for provisions—from lodging to food to meals—was made easier by the public’s familiarity with the narrative of Katrina’s destruction. “They knew the story . . . all I had to do was say Katrina, and bingo!” said Tenenbaum. As expected, needs were many and varied, and Tenenbaum found himself filling prescriptions and picking up fast food for stragglers in addition to his organizational duties. Through the chaos, he became known by a moniker that has stuck through the years. Whenever someone had a question, they were told to “look for the man with the cigar,” and Tenenbaum good-humoredly sported an unlit cigar at the reunion with his fellow SC Cares volunteers on January 23. At the gathering, attendees one by one shared their role in the welcome effort 12 years past. Many, like Tenenbaum, who currently serves as President of the Palmetto Health Foundation, still serve as staff at local nonprofits, including United Way and the American Red Cross. Others, like Anderson and Mullis, have continued in their respective fields of business and law. Some, like Jennifer Bonovich, who worked for the Red Cross in 2005 and today works as a veterinarian, have moved on to different work entirely. But the group shared consensus in their desire to preserve the narrative of the mission they carried out together over a decade ago. According to Anita Floyd, Senior Vice President for Community Impact and Strategic Implementation at United Way of the Midlands, the legacy of SC Cares is still very much alive. Since October 2015, many of the state’s nonprofits have dedicatedly sponsored recovery efforts from for South Carolinians whose homes and businesses were damaged or destroyed. By the time recovery for the similarly devastating effects of Hurricane Matthew was in full swing, it may have seemed as if organizations like United Way of the Midlands had always had this kind of experience. In fact, much of what made the organization able to jump quickly into action after the flood of 2015 was the experience yielded from responding to the needs of Katrina survivor, according to Floyd. Floyd also said the process of providing for evacuees actually revealed needs in Columbia’s own community, especially for locals that were experiencing homelessness. In response, United Way forged partnerships with other local organizations to create the Midlands Housing Alliance, which would run the Columbia adult shelter Transitions. In addition to addressing housing and other basic needs throughout the year, Transitions also welcomed people seeking shelter from the flood of 2015 and Hurricane Matthew. Another key development of Katrina was the Saint Bernard Project (SBP), an organization that formed in response to the recovery needs of Katrina victims. SBP specializes in rebuilding communities affected by severe flooding, and set up an outpost in Columbia after the flood of 2015. United Way has now partnered with SBP to rebuild 200 homes for affected Midlands residents. In fact, Floyd said that the experience of supporting the recovery of Katrina evacuees helped shape the response of United Way and other organizations to those events on a broad scale, especially in terms of what they learned about cooperation between organizations. As for the man with cigar, Tenenbaum remains proud of what SC Cares was able to achieve on behalf of their gulf coast guests, and he believes there’s much that other communities could learn from the effort.